Willie Ruff has been one of the pioneers of the horn in jazz, as a duo has performed at thousands of schools and colleges, and has been an international ambassador of music, from Africa to Russia and China. Willie was born in 1931 in Sheffield AL, which is in the area known as Muscle Shoals, famous for freshwater mussels, W.C. Handy, Helen Keller, and music recording studios. Willie was one of eight children, and his father left the family before Willie was a year old. His mother died from tuberculosis when Willie was 13. The schools were segregated at this time, and Willie attended a poor school for blacks, but the teachers valued music. Willie remembers a visit by W.C. Handy, who played a trumpet and explained his music to the students, and later the school had a part-time band director. Willie started singing as a child and learned drumming from a neighbor and piano at church. He also learned to play the "hambone" - using hands against parts of the body such as chest and thighs, a technique developed by slaves when their traditional drums where outlawed. After his mother died, Willie went to live with his father and attend high school in Evansville IN. The next year, in 1946, at age 14, he lied about his age, forged his father's signature, and joined the Army on the expectation of developing a career as a drummer. When the band had too many percussionists and the horns (playing mellophones - "peck horns") were the weakest section, Willie volunteered to learn to play the horn. He learned on his own from an Oscar Franz method book, practicing in the boiler room. When Willie was 16 years old and playing in the band at segregated Lockbourne Air force Base near Columbus OH, he started taking lessons from Abe Kniaz, first horn in the Columbus Philharmonic Orchestra. He discovered that he had been using incorrect fingerings and soon improved his technique, musical knowledge, and other knowledge under Kniaz's guidance. It was while stationed at Lockbourne that Willie met his future duo partner, Dwike Mitchell. Willie also learned to play bass at Dwike's urging and earned his high school equivalency diploma. Willie left the service to attend Yale University, from which he holds both undergraduate and graduate degrees. Upon receiving his master's degree in 1954, he tried to win a position with an American symphony orchestra, but found that black musicians were not yet welcome in those ranks. Instead, he accepted a position with the Tel Aviv Symphony. Not long before he was to leave, he happened to watch The Ed Sullivan Show and saw not only Lionel Hampton's band but, to his surprise, friend Dwike Mitchell at the piano. After contacting his old friend, Willie was invited to join the Hampton band and so he never went to Israel. In 1955, the two friends left Hampton to form the Mitchell-Ruff Duo, with Willie on horn and bass. Since 1955, the Duo has recorded, performed, and lectured on jazz extensively in the United States, Asia, Africa, and Europe. It had the advantage, Willie recalls, of being the least expensive group in jazz, and it was therefore booked as the second act with the best and most expensive bands of the day - Dizzy Gillespie, Louis Armstrong, Duke Ellington, Count Basie - in Birdland, the Embers, the Village Vanguard, Basin Street East and other leading nightclubs. They were all riding the crest of one of the most popular eras of jazz - an era that would soon end with the advent of rock and the dominance of television. In the late 1950s they toured widely for a group called Young Audiences, playing and demonstrating jazz for students in elementary schools and high schools, and since the mid-1960s their main format has been and still is the college concert. They give 60 or 70 a year on college campuses. It was the Mitchell-Ruff Duo that introduced jazz to the Soviet Union, in 1959, playing and teaching at conservatories in Leningrad, Moscow, Kiev, Yalta, Sochi, and Riga; and it was the Mitchell-Ruff Duo that took jazz to China, in 1981, playing and teaching at conservatories in Shanghai and Peking. Before the first trip Willie taught himself Russian, his seventh language, and before the second trip he learned Mandarin Chinese, thereby enabling himself to explain to his listeners, in their own language, the roots and lineage of American jazz, with Dwike demonstrating on the piano. 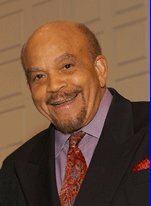 Willie joined the faculty at Yale in 1971, and has taught Music History, courses on Ethnomusicology, an interdisciplinary Seminar on Rhythm, and a course on Instrumental Arranging. He is founding Director of the Duke Ellington Fellowship Program at Yale, a community-based organization sponsoring world-class artists mentoring and performing with Yale students and young musicians from the New Haven Public School System. The program brings the giants of black American music to New Haven throughout the year to teach at Yale and in the city's predominantly black public schools: singers like Odetta and Bessie Jones, arrangers like Benny Carter, tap dancers like Honi Coles, and instrumentalists like Charlie Mingus and Dizzy Gillespie. Willie's 1992 memoir, A Call to Assembly, was awarded the Deems Taylor ASCAP award. He has also written widely on Paul Hindemith, one of his teachers at Yale, and on his professional association with the American composers Duke Ellington and Billy Strayhorn. Strayhorn wrote a suite for horn and piano for Willie and Dwike. His collaborations with Yale geologist John Rodgers on the musical astronomy of the 17th-century scientist, Johannes Kepler, resulted in an important "planetarium for the ear" recording and published widely in international astronomy journals. Willie has also written on music and dance in Russia, and on the introduction of American Jazz in China. Film is also an important teaching tool to him, and he has visited the pygmies of the Central African Republic, the master drummers of Bali, the tribesmen of Senegal, and various other remote societies to make films about their drum music and language. Willie was elected an IHS Honorary Member in 2001. In 2005 he and Dwike performed a rousing concert at the Northeast Horn Workshop in Purchase NY with Ruff's former teacher, Abe Kniaz, in the audience. Willie said, "How many people perform a concert at age 73 and have their teacher in the audience?" Willie remembers being told that music doesn't mean a thing unless it tells a story, and that's still the way he plays it.